The Fellowship was fortunate enough to obtain a copy of MISTER X: HARD CANDY from Dark Horse Comics. The story is written and illustrated by Dean Motter. This one-shot collects the story arc originally appearing in DARK HORSE PRESENTS issues #12 through 14. Mr. X is hired to find and rescue Tootsie Friedkin, the heiress of the Friedkin Pharmacy Fortune. His reward is Brain Candy, a drug that makes people forget the hell that Radiant city has become. But someone doesn’t want him to find her. Will he be stopped from his quest to cure the city (and his own) sickness? And what is the real story behind this Mister X? This is my first time reading the character who was created 30 years ago for a Canadian comic company called Vortex Comics.The story is a really cool mix of futuristic-retro noir (I guess you can call it cyberpunk). The art style is great, but knocked me out was the use of color. Noir is typically dark, and to a degree it is, but it’s primarily shades of blue with pink and purple close behind. It gives the comic an unique look which I really enjoyed. 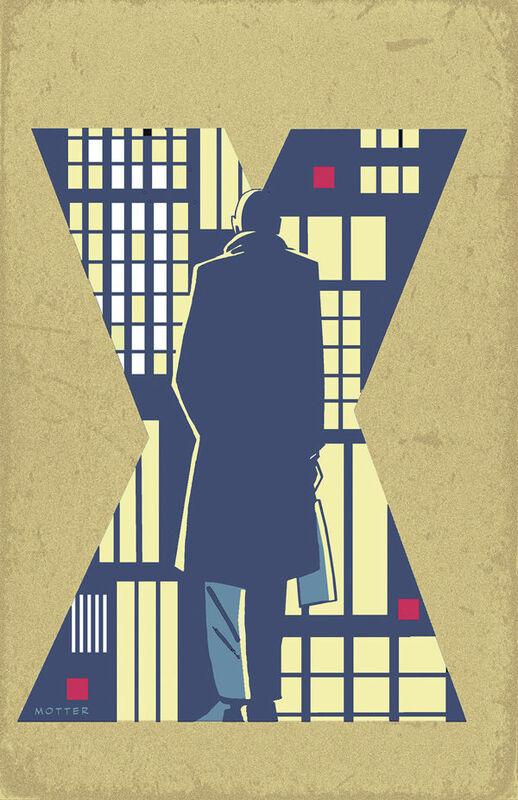 MISTER X: HARD CANDY is in stores now or available at www.darkhorse.com.